For security reasons and to save battery charge, Chromebooks will automatically turn off their screens and enter sleep or standby after a certain amount of idle time. This is often the case for teacher Chromebooks when presenting to the class. If your Chromebooks are managed, you may not be able to change the sleep settings. Sleep mode is controlled in your Chromebook’s settings. There is more than one way to access Settings, but to keep this simple, we’ll just look at one option. If your Settings have building icons next them (like mine) and the options are greyed out, you will not be able to change these settings manually. Your Google account is managed by a Google domain which is common in schools and businesses. Instead, you’ll have to keep your Chromebook awake using the extension in the next section. If your settings are not greyed out you can make the following changes. You can choose what happens when the Chromebook is idle. Again, idle means no one has moved the mouse or touched the keyboard for a period of time. Playing a video on sites like YouTube will also keep the Chromebook from being idle. 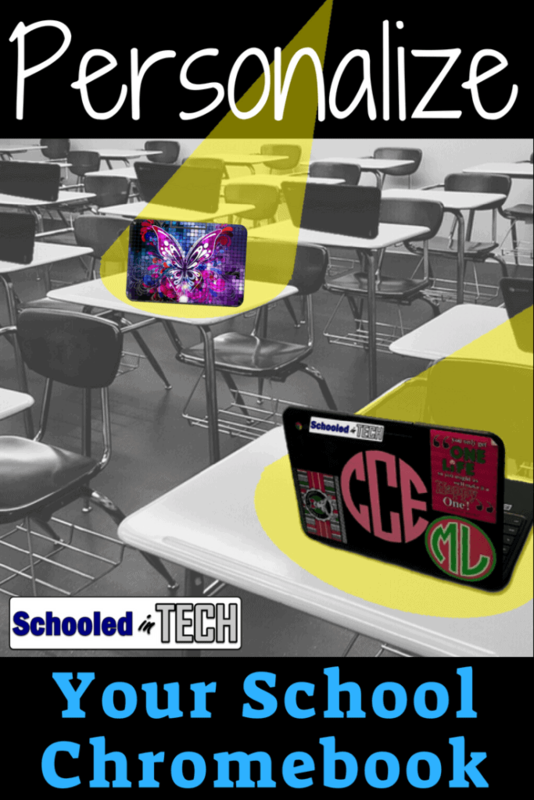 Do you want the Chromebook to go to sleep when the lid is closed? On most Chromebooks this also means that the screen will stay on when the lid is closed too. I wouldn’t change either of these settings permanently. To avoid having to change settings back and forth, let’s look at another option to keep your Chromebook screen from turning off and going to sleep. If your Google account is controlled by a school or business, it is very common to not be able to change the Sleep settings. Luckily, there is a simple extension you can install to keep your Chromebook awake. It’s simply called Keep Awake. You can install it for free from this link. You can easily click the extension icon to turn “keep screen on” feature on/off. This app is perfect for a teacher to use during a slide show presentation or to show directions on a screen/projector while they walk around the room. This is a great tool to use when you need your screen on, but you do not want to leave it on all of the time. I’ve talked a lot about how to keep your Chromebook awake, but I think its important to point out some reasons you don’t want to leave your Chromebook on all of the time. As with any Device you are signed in to, you should not leave your Chromebook unattended while it is turned on. One reason is anyone using the device when you are logged on would have access to your files, emails, etc. They could gain access you test answers or even worse, send emails as you. If another user is going to use your Chromebook, always have them sign in with their own account. If its a personal Chromebook, you could have them use Guest mode. Chromebooks can run on battery power for several hours, but it will eventually run out of juice. Allowing your Chromebook to sleep while not in use, will help ensure your battery stays charged as long as possible. Go ahead and install the Keep Awake extension on your Chromebook / Chrome Browser so that the next time you need to keep your screen on, all you have to do it click the extension icon. Now that you can keep your Chromebook awake, let’s look at how you can make sure your Chromebooks stay up to date in my How To Manually Update & Keep Chromebooks Up To Date post.